Field workers and employees in harsh work environments can’t just stop working when conditions are tough. 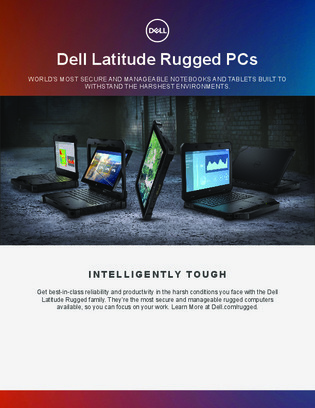 No matter what challenges the climate or workplace throws at you, handle them with confidence with rugged devices. Download this resource for a list of rugged devices and accessories, designed for extreme durability and reliability in rough working conditions.